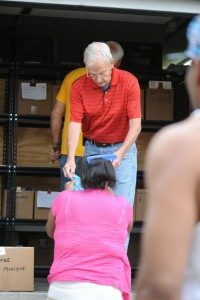 The Eastridge Food Pantry’s mission is to provide food to families and individuals in need in Lincoln. It is operated as a local outreach program by churches in southeast Lincoln. The following churches provided financial support to the Pantry during 2017: Eastridge Presbyterian,, Aldersgate United Methodist, Good Shepherd Presbyterian, Vine Congregational, Heritage Presbyterian, and the Unitarian Church. Our pantry is open on Wednesdays, 4-7pm. An appointment is required. Please contact our office to make an appointment. CLICK HERE TO VIEW THE NON-DISCRIMINATION STATEMENT.